Individuals who are saving for their retirement are mostly concerned with one thing – am I putting my money into the right investments? Unlike other investor types, those building their retirement portfolios are mostly concerned with safe growth; maybe their portfolio won’t grow as fast as it potentially could, but they also won’t have to worry about the risk of losing their investment in a market crash. Proper retirement investments offer both of these qualities – predictable growth and safety. With a lesser potential for risk, these investments allow individuals to build their nest egg securely, while ensuring an income after they retire. Want to make sure you are putting your money in the right investment vehicles for your retirement? In the following post, we will explore several different retirement investment options and explain how each could potentially benefit your portfolio. One of the most popular investment vehicles for retirement savings is a 401(k). Basically, a 401(k) is a savings plan offered by an employer that allows employees to invest a portion of each of their paychecks – before taxes are deducted. 401(k) plans are typically made up of several mutual funds (see below), and gives the investor a choice of what funds to invest in. With a 401(k) plan, the employee decides what portion of their income they want to contribute. The employer deducts this amount from each paycheck and deposits it into the employee’s account, on their behalf. In most cases, companies hire third parties such as mutual fund companies, brokerage firms, or insurance companies to manage and administer the plan. 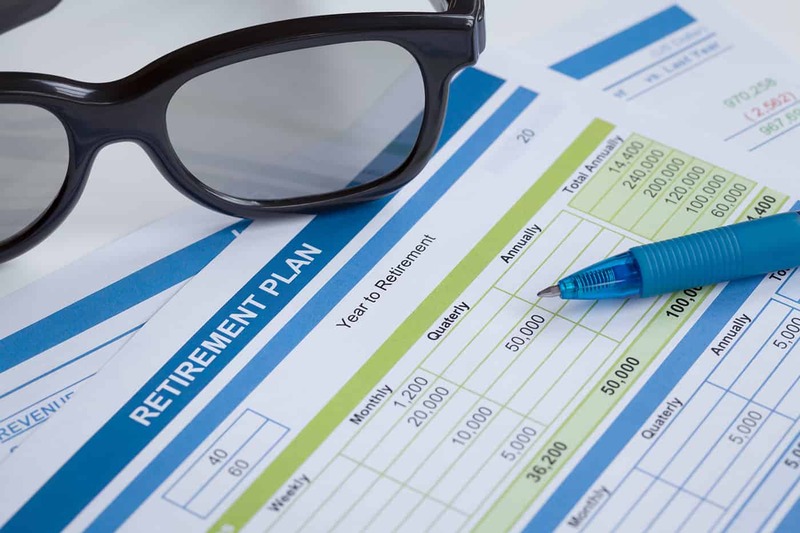 401(k) plans allow employees to invest easily and without much effort, since funds are automatically deducted from their paycheck before they ever receive it. • Easy Management: 401(k) investments are simple to start, and easy to manage. Since investment funds are automatically withdrawn from their paycheck, employees don’t have to worry about manually investing funds. • Pre-Tax Contribution: Contributions to 401(k) plans are made before taxes are taken out of an individual’s paycheck. Since the percentage is taken from the gross amount instead of the net (post-tax) amount, a larger contribution can be made to the account each month. • Employer Contributions: Since 401(k) plans are generally employer sponsored, many employers offer matched contributions – meaning they match a certain percentage of the amount that employees invest into their accounts. • Vesting Periods: To protect themselves from losing money, employers typically implement a vesting period; or a duration of time that an employee must continue to work for the company before they can access the contributions that the employer has made to their account. If you leave the job before this period, you will surrender the contributions that the employer has made up until that time. • Withdrawal Restrictions: In addition to vesting periods, 401(k) plans also usually have a variety of attached withdrawal restrictions. Most plans have many rules concerning when money can be withdrawn, and it can be extremely costly to withdraw funds before this time. Bonds are debt securities, or debt obligations. In exchange for a “loan”, borrowers issue bonds that promise to pay back the loan with interest over a specified time period. Bonds come in many forms, can have various risk levels, and can be offered from a variety of borrowers including corporations, municipalities, and national governments. The main types of bonds are corporate bonds, high-yield bonds, and municipal bonds. • Corporate Bonds: Debt securities issued by both public and private corporations. Corporate bonds are given a credit rating to assess their level of risk and potential for default. Investment-grade bonds are bonds that have a high credit rating and are generally regarded as “safe” investments. High-yield bonds offer a greater interest rate, but are more risky and have a lower credit rating than those of investment-grade status. • Municipal Bonds: Debt securities issued by city, county and state municipalities. These types of bonds can be backed by the municipality’s assets, or may be issued on a “faith” basis. • U.S. Treasury Bonds: These bonds are issued by the United States Department of the Treasury. Since they are backed by the federal government, they are generally regarded as extremely safe investments. Types of U.S Treasury Bonds can include Treasury Notes, Treasury Bills and Treasury Bonds. • Predictable returns: For most bonds, performance can be predicted and investors know exactly what their return will be. While stock performance can vary, bonds promise to pay back a specific interest rate after a specified duration of time. • Tax-Free Interest: In most cases, the interest earned on municipal and treasury bonds are exempt from federal income tax. • Issuer Default: Especially for higher risk (and lower credit rating) corporate bonds, it is possible that the issuer will fail to make interest or principal payments in a timely manner. Although high-value bonds promise higher interest returns, their potential for payment default is much greater. • Interest Rate Fluctuation: Like stocks, bonds can be bought and sold on the market. If a bond is sold before its maturity date, it may not be worth it’s face value at the time it is sold. When interest rates increase, the value of bonds on the market decrease, since it would be more beneficial for the buyer to purchase a new bond instead of an older one with a lower interest rate. • Liquidity Difficulty: In the wrong circumstances, some bonds may not be easy to get rid of if immediate liquidity is necessary. In other situations, bondholders may take a loss if the current value of their bonds are less than face value. • Immediate vs. Deferred Annuities: The difference in the two lies in when the annuity begins paying out. 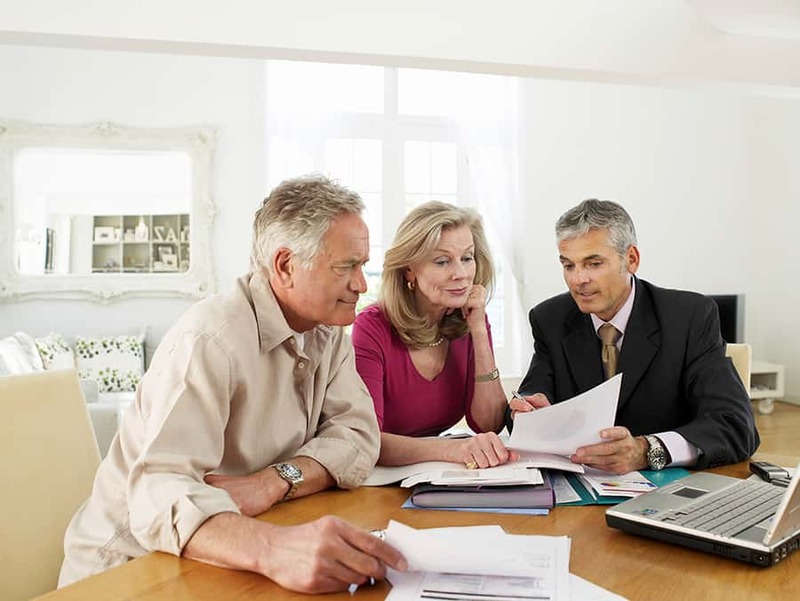 Immediate annuities begin making payments shortly after they are initiated. Deferred annuities on the other hand, start making payments at a specified future date; such as at the start of the investor’s retirement. • Fixed vs. Variable Annuities: Fixed annuities guarantee a specified payout for a certain number of years (or a lifetime). These annuities have a fixed payout and are not based upon the performance of the market. Variable annuities on the other hand, are typically tied to mutual funds and pay out based upon the performance of the funds that the annuity is invested in. Variable annuities have the potential to perform better than fixed annuities, but also carry a far greater risk factor. • Fixed Period vs. Lifetime Annuities: The difference in these two annuity types lie in how long the annuity will pay out. Fixed period annuities make payouts for a specified amount of time – such as 10 or 20 years. Lifetime annuities on the other hand, guarantee a payout until the end of the investor’s life. Since the investor’s lifetime may end up being shorter than expected, the potential for loss is far greater. On the other hand, if the investor outlives their expected lifetime, the annuity may pay out much more than they would have received with a fixed period option. • Monthly Income: One of the most attractive benefits of annuities is that they provide a reliable monthly income. Fixed annuities guarantee a specific payout, ensuring that investors will realize an income during their retirement. With lifetime annuities, investors can ensure that they will receive a payout for the rest of their lives; eliminating the worry that their payouts will end during retirement and leave them without an income. • Annuity Options: Annuities provide options that allow investors to make the product more suitable to their specific situation. Living benefits for example, guarantee a certain withdrawal limit, allowing investors to access a specific amount of their investment without heavy fees. Death benefits on the other hand, allow annuities to be transferred to a beneficiary if the life of the annuity owner ends before the annuity does. • Surrender Fees: When you buy an annuity, it can be extremely expensive to withdraw money (outside of the limits of a Living Benefit). In some cases, surrender and withdrawal fees can be as much as 10%. It is best advised to keep an emergency savings available and resist the temptation of withdrawing funds from your annuity. • Commission Fees: Purchasing from annuity brokers can also be expensive, since these brokers can collect commissions as high as 10%. Sometimes these fees aren’t shown up front, but are buried into rather complex contracts. It is always recommended to read your contract carefully and make sure that you understand all commission fees before purchasing an annuity. • Annual Fees: In addition to other expense, insurance companies often charge annual fees for annuity products. These fees can sometimes equal up to 3%, which can lessen the overall value of an annuity – even if it’s paying out a decent return. In a mutual fund, money is pooled from many investors and invested into a portfolio that consists of stocks, bonds and other assets. These funds are operated and managed by mutual fund companies; professional managers who seek to find the best investments where the fund will realize the biggest return. Mutual funds allow individual investors to place their money in a professionally managed portfolio, which in theory, gives them ownership over a small percentage of the overall fund. • Diversification: Compared to other investment vehicles, mutual funds are much more flexible in the types of products they invest in, and allow you to quickly diversify your portfolio. Diversity ensures that your portfolio doesn’t lean too far into one investment. In the case that one investment does not perform well, in many cases, the loss is balanced by better performing investments within the mutual fund’s portfolio. • Professionally Managed: Mutual funds are managed by professional and experienced investors, who back their investments choices by heavy research and consideration. These experts are dedicated to ensuring that the portfolio performs well, which takes away the difficulty of managing your own portfolio investments. • Risk Management: Although fund managers choose the investments that the funds will be placed in, investors can usually decide what level of risk they are willing to accept. Those who want a safer and more conservative portfolio can choose a lower risk level where the majority of their funds will be placed into safer investments like bonds. Those with a greater risk profile can choose a more aggressive mutual fund strategy where the bulk of their portfolio will be invested into higher risk investments such as stocks. • Minimum Control: While investors have control over the level of risk they are willing to accept, they don’t have any control over what specific investments the fund will choose to invest in. • Fees: Mutual funds may also be subject to several fees and expenses. In many cases, mutual funds may add a sales charge on purchases – or a front end “load” that is charged to initially be included in the fund. Mutual funds also charge annual management fees, which are usually equal to around 1.5%. • Too Much Diversification: Some mutual funds are overly diversified, meaning that they are spread too thin to make any significant gains. In this situation, if one investment does perform extremely well, only a miniscule portion of your portfolio will actually be dedicated to this specific investment. What’s Right For Your Retirement Portfolio? All of these investment types are feasible and reliable options, and in theory, all of them have great benefits in the right portfolio. What’s beneficial for one person’s financial situation however, may not be beneficial for another person’s. It is important to deeply research your options and find out which vehicles will help you reach your specific financial goals. Knowing how fees work, how withdrawals are handled, how risky and how liquid an investment is, should all be considered when deciding what investments your portfolio should consist of. Still undecided about what investments you should add to your portfolio? Check out our network of trusted financial advisors to find a reputable advisor near you, and discuss what options are best for your specific financial situation.